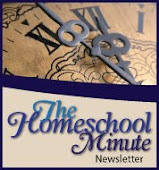 The Faithful Homeschool: What is your Purpose? The Lord will fulfill his purpose for me; your steadfast love, O Lord, endures forever. Purpose, it's my 'one word' for 2017. Not to be cliche, but I prayed about it and God, in fact, had ONE WORD in particular for me to realize this year... and purpose was it. Purpose is one of those words - we are often torn between the noun and verb variations of application. To be defined... or to be directed. "What is my existential purpose". In our finite thinking we often fall into that trap of life being about us. Yet, even as Christians, when we learn life is about GOD, not us, we still ask, "Why am I here... what is MY purpose?" What if we have it all backwards? What if... just maybe... God chooses people and, perhaps, even allows us to think our purpose is why we were crated. We take quizzes and assessments and identify our spiritual gifts* and we press forward, declaration in hand, THIS IS MY PURPOSE. But we have it backwards. I could keep going but I think I have shared enough to make my point. WHO brought Israel out from among the Egyptians? Wasn't it Moses? WHO stretched out his arm to see the Red Sea parted? Moses again... right? WHO made Israel to pass through? Didn't their own legs carry them? WHO overthrew Pharaoh and his gang of brutes? Didn't they stupidly run in after the Israelites themselves? WHO led the people through the wilderness? Again, Moses... right? God used man for GOD's purpose because, let's face it, man's purposes are always polluted by his fallen and sinful nature. It isn't MY purpose for me or MY purpose for Him.... it is HIS purpose for HIM using me to fulfill it. Yes, I may have a purpose, but it has absolutely nothing to do with some intrinsic, self chosen, or talented drive. Rather, it has EVERYTHING to do with HIS goals... not just for me, but for others and, ultimately, His goals are for His glory... and for us, collectively, as sojourners of planet earth, to be in relationship with Him. Maybe that seems too complicated.... or perhaps it is too simplistic. For me, as I poured over these verses, it was wonderfully powerful. I suddenly realized I could quit trying so hard, stop trying ti figure and find purpose, stop attempting fruitlessly to work purpose's details out, and instead..... I could let go, and let God. Seriously. I was reminded of how, just like the push against 'religiousness', so is the push against self-propelled purpose: no amount of MY work and MY plans mean anything if they a) don't glorify God, b) don't draw myself or others closer to Him and (most importantly) c) don't LET Him direct my path. Purpose wasn't about me trying to figure out MY plans and direction in life.... it is completely about God's plans to do stuff and my being pliable so He might use me to complete them. it's purpose.... we have purpose, there is purpose in me, like a measuring cup's purpose is to measure, but it does not choose that purpose or contemplate it. It did not create it's purpose... it was created FOR a purpose and it is useless until I pick it up and put it to work for MY purpose of cooking/baking. Man may give the measuring cup it's existence and define it's purpose but the measuring cup is not propelled and fulfilling it's purpose until it's creator (or purchaser!!!) acts on it and through it. How much more so is it between God and us! 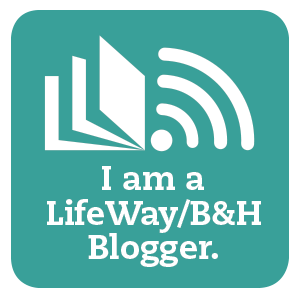 *Post note: I am not against Spiritual Gift assessments, as a matter of fact, when done and used correctly, I believe these tools can help us see more clearly what God created us to be used for. They can be used to sift our ideas of ourselves out and move them to God's plan and Purpose for and through us! I started this sign up around my 8 year blogaversary a few months ago and then my dad became sick so I wasn’t able to get the newsletter in motion right away. However, I am hard at work behind the scenes praying over and putting together a periodical which I think everyone can find something in to enjoy in their email box at the end of each month. There will be some exclusive content you won’t find on the website! It is so freeing when we realize our purpose is founded in Him; that we exist to bring Him glory. Thanks for emphasizing this! Visiting today from #faithfilledfriday where we're neighbors this week. Yes! Thanks for stopping by neighbor!